Character: Brewed with four different hops which is added into the brew three times during the brewing process (hence triple hop). The hops pitched are saaz, tetra and aurora twice in the brew house and then cascade is used to dry hop. In this time and age of the big Craft Beer movement, there are those breweries from around the world who have been pumping out beers for centuries in their native country. Luckily for us, we have good distributors and importers who bring us some of these goodies. Brouwerij Van Steenberge is responsible for such beer as Gulden Draak, Augustijn, St. Stefanus Blonde, Leute Bokbier, and Piraat, including this Triple Hop Piraat that I am featuring here. This 750ml features the normal pirate ship artwork that is featured on the bottles of the regular Piraat beer. There are the words Triple Hop and a number 3 stamped on top of the ship written in green. In fact, the whole label’s main color is green, with the Piraat name being in green, with the bottom of the label being a brighter green with the words “Dry Hopped Ale.” Obviously, there is nothing fancy about this beer’s label, but it does the trick in showing that this beer is an import. The label of this beer is etched right onto the bottle, which is an awesome touch. I poured this beer into a Real Ale Brewing Company tulip style glass. This beer’s appearance was a clear golden color that was topped with a large 2 inch white foamy head. There was great head retention throughout this session with large soapy spots of lacing left down the glass. The nose clearly is Belgian. There is a banana-like aroma, blended with a fruit mix of oranges, apples, and pear. Alcohol is present in the nose as well. The hop profile is present but not very overpowering, as the grassy, mild citrus hop profile is met with a hit of bready malts. The Belgian banana quality hits the palate first. There are flavors of banana, peppercorn, and clove, blended well with a hop profile of citrus, and grassy notes. Even though this beer has a triple hop process, including being dry hopped with Cascade hops, the overall flavor was not overpowered by hops. In fact, this beer drank more like Belgian Tripel. Luckily, I love this style of beer, so I can really get into this beer. This beer has a medium body with a crisp, dry mouthfeel. There is a nice bitter bite to it, as well. Some heat from the booziness is present as this beer goes down. The finish is dry. Overall, I highly enjoyed this beer. Personally, I love a good Belgian beer, so this one was right up my alley. My only small complaint was that I was expecting more of a hop flavor in the nose and taste, but for what it is, this beer was pretty damn good. I do try to get my hands on every beer possible that it is my reach, and I saw this bottle on a local store shelf, and purchased it without any knowledge of the beer at first. I have enjoyed both Leute Bokbier and Gulden Draak by this brewery. I do hope to one day try their other offerings. Metal Connection: Here we have an American band from Illinois named Num Skull. This band had an up and down career since their inception in 1985. They had broken up on a few occasions during the times from 1991 to 1994, and again in 1996 to 2000. They seem to be broken up again, but not sure of the time frame from when this latest time started. In their career, they released three full length albums, along with a handful of demos and split releases. Guitarist, Tom Brandner being the only member to appear on all their releases. The band saw several line-up changes, as well as a style change. 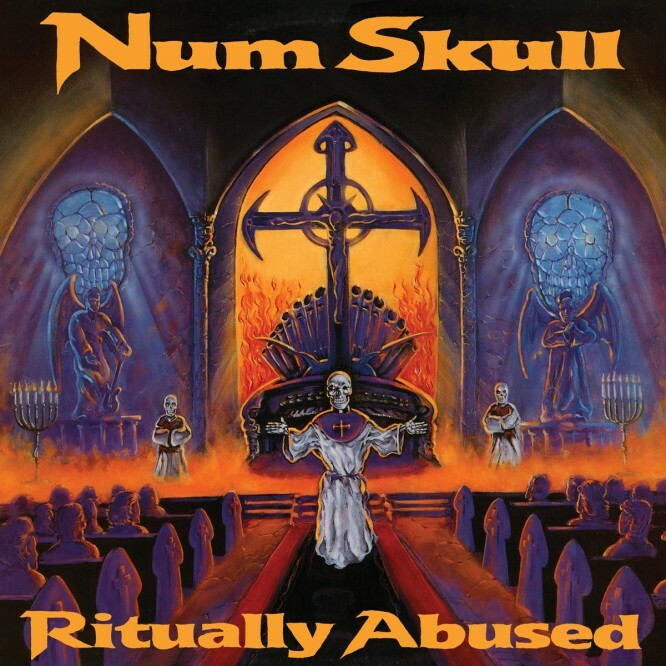 Their debut album, Ritually Abused was more of a Death/Thrash Metal style featuring Speed Metal style riffs, and drums, with a raspy Death growl/Thrash scream. A more familiar band to compare them to on this album, would be Sadus. The song featured here for the Metal Connection is fro this debut album. 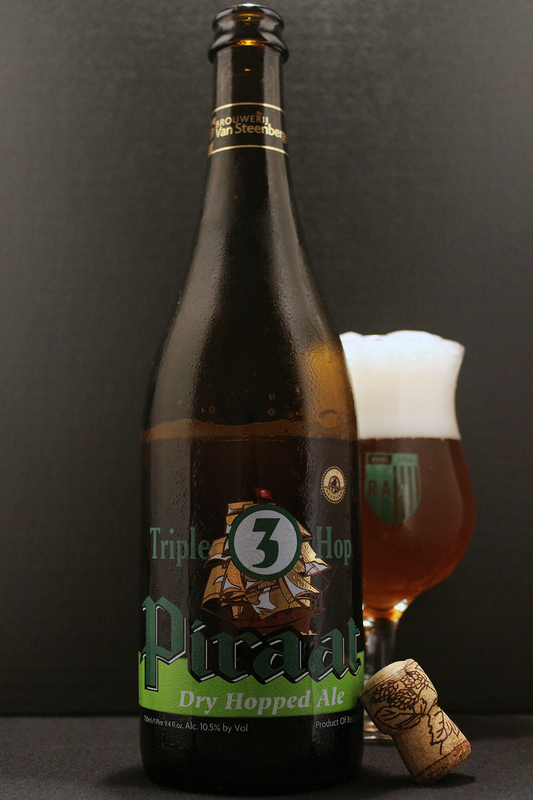 The song is called “Pirate’s Night.” I thought it was a very fitting title to connect with this Belgian beer named Triple Hop Piraat. This song is very catchy, and will have you headbanging from start to finish. The last known line-up for Num Skull featured some familiar names in the Underground Metal world, Scott Creekmore – Drums (Lupara, ex-Broken Hope), Mike Eisenhauer – Bass (Evil Incarnate), and Shaun LaCanne – Guitar (Putrid Pile).